Home » Practice Areas » Personal Injury » Stages of a Personal Injury Case » What Happens at a Personal Injury Trial? Sometimes, a personal injury case cannot be settled during negotiations and proceeds to trial. When this happens a jury will be selected to hear the case and render a verdict. The jury selection process is known as “voir dire.” Potential jurors will be asked questions by both the plaintiff’s and defendant’s attorneys to determine if they can fairly judge the evidence. The attorneys can excuse up to eight potential jurors. 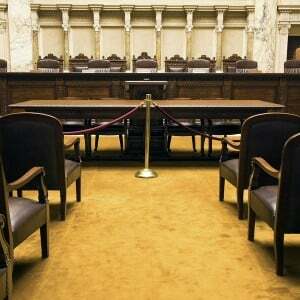 Most jury trials have 12 jurors, and there may be one or more alternate jurors. Often, the jury is given a brief summary of the law before the trial begins. After jury selection, each lawyer presents a summary of the evidence in the case to the jury. It’s known as the opening statement. The plaintiff’s attorney goes first, and the length of the opening statement depends on the complexity of the personal case. Once both opening statements have been presented, the plaintiff’s attorney presents the evidence first. Each witness undergoes direct examination and the opposing attorney has a chance to cross examine those witnesses. Exhibits are also presented, such as medical records, X-rays, photos and diagrams. These demonstrative aids help the jury better understand the case. The plaintiff’s attorney’s goal is to establish liability, and the defendant’s attorney’s goal is to challenge the liability by pointing out the shortcomings in the case. Motions may also take place during a personal injury trial. For example, the defendant’s lawyer may make a motion for a directed verdict. A directed verdict may imply that the plaintiff did not prove the elements of law and the case should be dismissed. The judge will review the evidence and decide whether or not the case should move forward. Usually, motions for a directed verdict are denied by judges. The next step is closing arguments. Both attorneys make a closing argument before the jury to remind the jury of the evidence and argue whey they should rule in favor of his or her client. The plaintiff’s attorney goes first, and the defendant’s attorney goes next. The plaintiff’s attorney has the opportunity to respond to what the defendant’s attorney presenting in the closing argument. It’s known as a rebuttal. Once the closing arguments are over, the judge instructs the jury about the applicable laws. They are also instructed to follow the law in their deliberations. During deliberations, the jury elects a foreperson to oversee the discussions. The jurors then debate the facts of the case and determine the case’s resolution. Often, the jury is given a verdict form as a guide. All jurors must agree on a verdict. Once a unanimous decision has been rendered, the jury notifies the court office, who then notifies the trial judge. The jury is brought back into the courtroom to announce their verdict. After the verdict announcement, the winning side prepares a judgment. This document is signed by the judge and filed with the court. If either side disagrees with the jury’s decision, they can file a post-trial motion for the judge to reevaluate. The judge will only do this when he or she believes that no reasonable jury could’ve reached that decision. The judge’s decision to grant or deny a post-trial motion can be appealed to the state’s court of appeals. At the same time, judges can order a new trial if they are not satisfied with the verdict. They may also increase the award for a personal injury case. 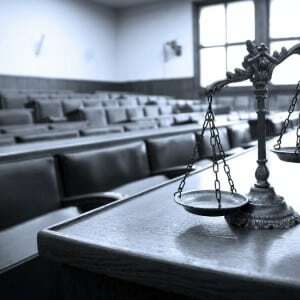 If a defendant or plaintiff has a complaint about the end result of the judge’s ruling on a post-trial motion or about the manner in which the trial was conducted, the case can be appealed in the court of appeals. 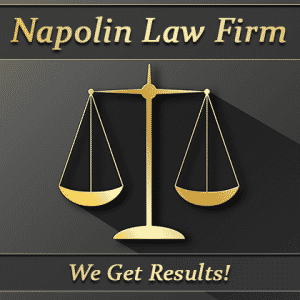 The process in the appellate court is quite different than in a personal injury trial. There are no witnesses. Instead, the court of appeals reviews testimony and exhibits to determine if any legal errors were made.